WOODY POINT is a suburb on the western side of the Redcliffe Peninsula. The first recorded English explorer to set foot on the Peninsula was Lt. Matthew Flinders, who landed near Woody Point on the 17th July 1799. On 14th September 1824 the brig ‘Amity’ brought a party of officials, soldiers, their wives and children, and 29 convicts. They landed on the beach near the mouth of Humpybong Creek to form a convict settlement. Much of the peninsula was subdivided into farm lots in the early 1870s. 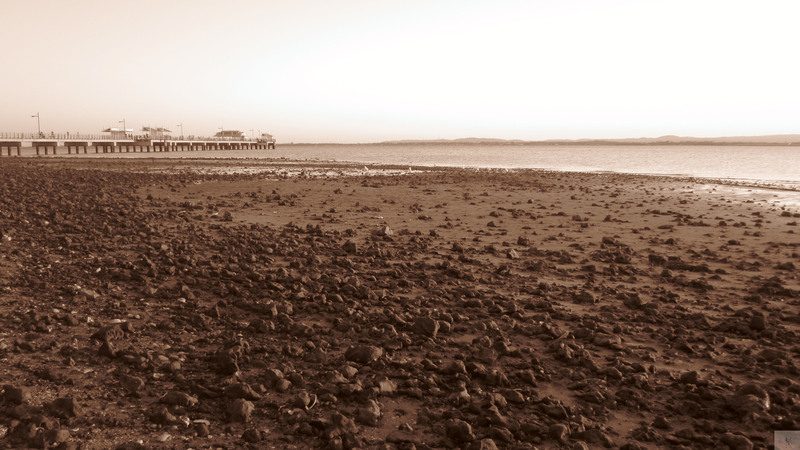 The construction of the peninsula’s first significant jetty at Woody Point (1882) brought about some development. Visitors and holiday-makers came via a weekly ferry. The post office directory of 1901 recorded the Great Western Hotel (1883), three boarding houses, a school, a butcher and a store at Woody Point. In 1925 there were also the Belvedere and Woody Point Hotels. The Hornibrook Bridge was opened by Queensland Premier Arthur Edward Moore on 14 October 1935, connecting the Redcliffe district at Clontarf and Brisbane City at Brighton. The bridge had a length of 2.684 kilometres . The toll for cars was one shilling per vehicle. The Ted Smout Memorial Bridge and its twin, the Houghton Highway, were Australia’s longest bridges, (as of 27 March 2013. It is the first bridge in Australia designed to withstand Hurricane Katrina-type storm events. Ted Smout was born in 1898 joining the Royal Australian Army Medical Corps aged 17. (lied about his age to get in) He was awarded France’s highest honour, being made a Chevalier (Knight) of the Legion d’Honneur in 1998 and also received the Medal of the Order of Australia for service to the community. He died 106 years old. Woody Point’s Apex Park & Bicentennial Park were constructed by reclaiming land along the foreshore in the 1970s. 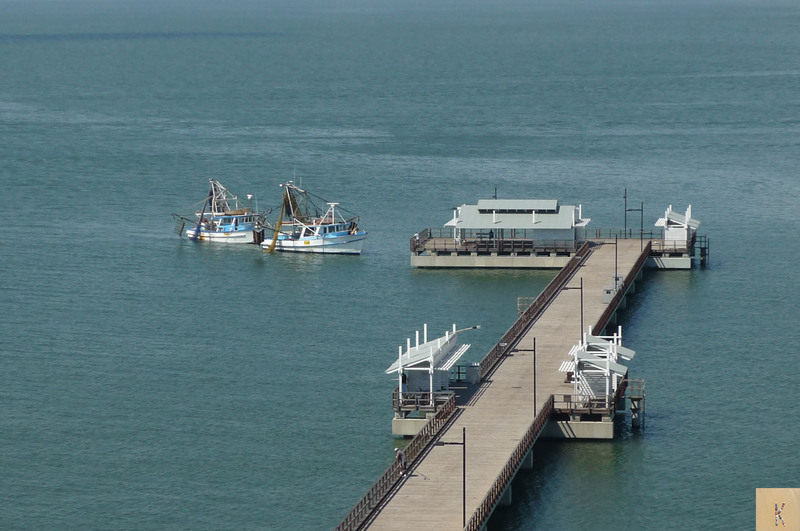 A $9.5 million Woody Point Jetty and foreshore upgrade was completed in January 2009. 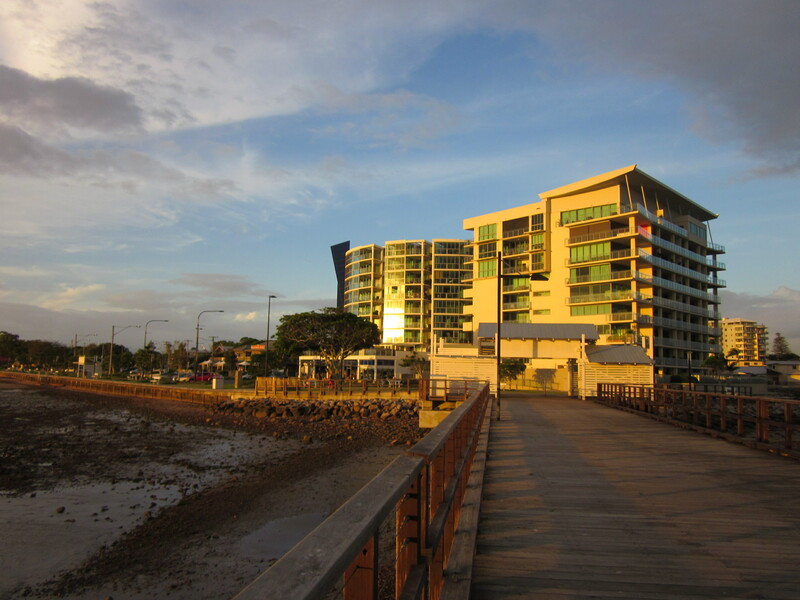 Woody Point’s construction of high-rise apartment buildings overlook Bramble Bay, Moreton Bay, The Port of Brisbane and the Ted Smout Highway. 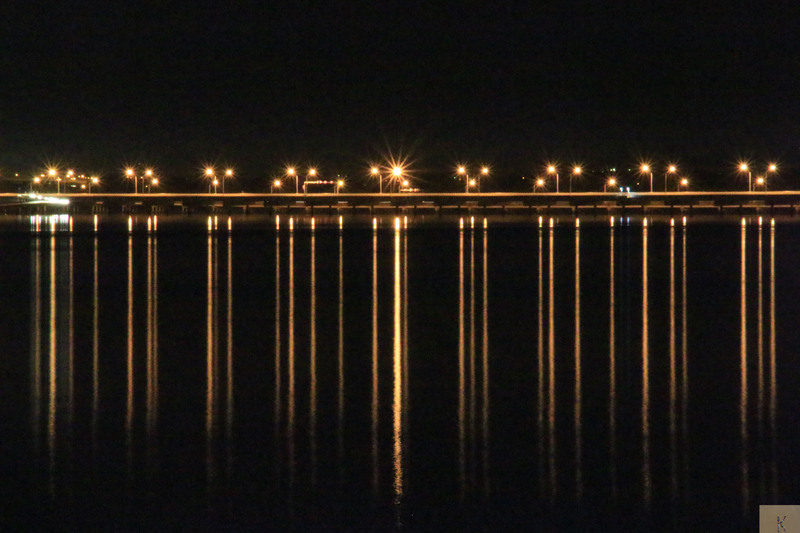 This entry was posted in Architecture, Australia, Photography and tagged Australia, Brisbane City, Hornibrook Esplanade, Houghton Highway, Redcliffe, Ted Smout, Ted Smout Memorial Bridge, Woody Point. Bookmark the permalink. Great shots. We were in Redcliffe this week for whale watching. I haven’t been there for years. It is looking wonderful. Thanks for calling past Debra. I was down at the jetty myself last week watching those cockatoos when Eye-Spy came it. It’s a great day out isn’t it? You have some great photographs. Love that front on shot. 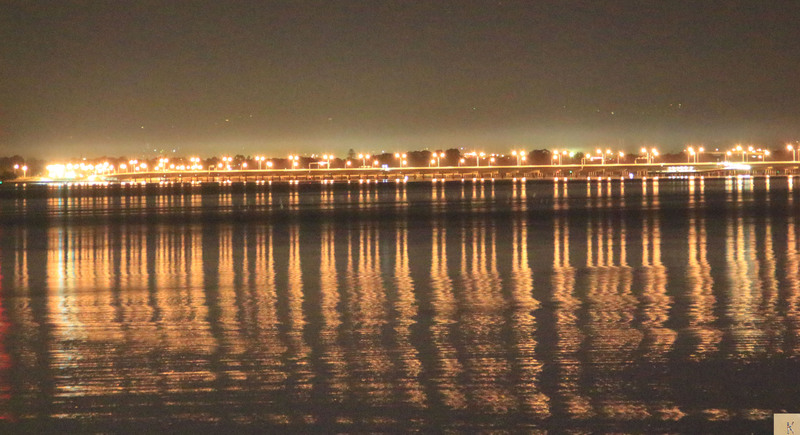 Beautiful shot of the esplanade at night. 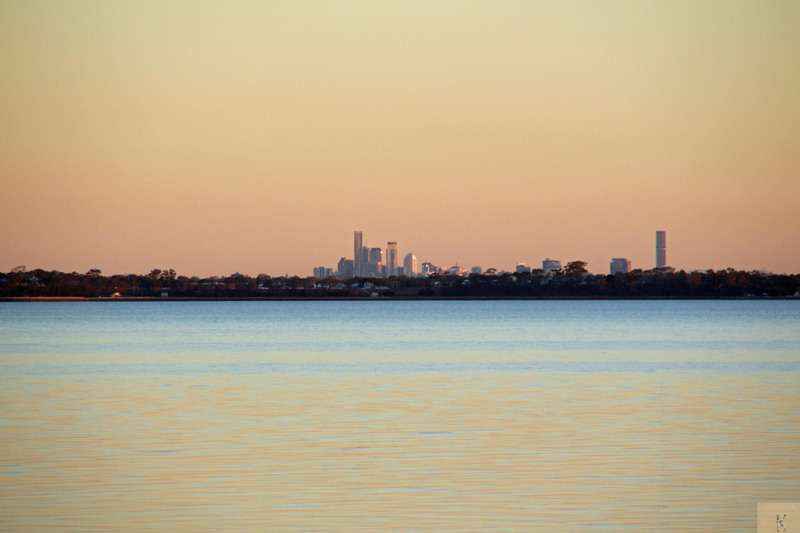 I confess that I have rarely visited the northside of Brisbane but it is lovely to see the photos.